Students in the College of Business Administration at the 2019 DataFest compeition on April 12. 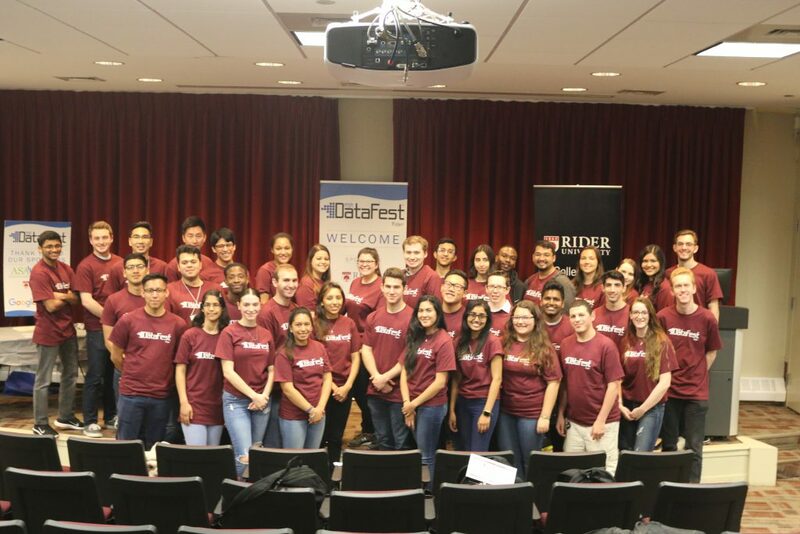 On April 12-14, Rider’s College of Business Administration hosted the American Statistical Association DataFest competition. The event took multiple days to complete and the competition allows students to deal with real world business analytical issues. Students gathered in teams to work on analyzing complex data from a real company and were required to put together a presentation to be presented before a panel of judges. Other DataFest events are held at different locations throughout the world. Rider is the only local host. Over 80 other schools worldwide also held DataFest. However, each school has a different time frame in which the competition takes place. Therefore, the name of the organization providing the datasets and problems cannot be released. Even though this 48-hour event was rigorous, the students were not alone during their tasks. Other universities, such as Columbia, Villanova, UCLA and Duke all participate in hosting DataFest. Winning first place and best business presentation was team Ninja. Who consisted of senior information systems major, Jannatul Nayeem, junior accounting major Nicole Briones, senior accounting major Angela Cotugno, sophomore accounting major Norma Nieves and junior global supply chain management major Jaquelyne Sapon-Maldonado. Netelixir, a retail search marketing agency, is a main sponsor of this event and was the reason there were cash prizes for winners. Along with Google and the American Statistical Association (ASA) who were sponsors of this event as well.